Queen’s Feast throughout Charlotte/surrounding areas: Enjoy three-course dinners at the area’s best restaurants throughout the week. Reservations recommended. $30-$35. Details. NoDable Release – Dr. Juice’s Hops on Pop at NoDa Brewing Company: Try Dr. Juice’s Hops on Pop and grab dinner from TIN Kitchen while you’re at it. 3-10 p.m. Free admission. Details. Roaring Twenties Birthday Beer Release at Bold Missy Brewery: Dress up in your best Gatsby-style dress, and try the new Suffragette Dark Berry Kettle Sour. 5-10 p.m. Free admission. Details. Hands-on Mixology Class – Winter Warmers at Sweet Spot Studio CLT: The class includes three full-size cocktails and light bites. 6:30-8:30 p.m. $70. Details. Bechtler by Night – Here’s to a New Year! at Bechtler Museum of Modern Art: Create your very own picture frames or design unique snowflakes. They’ll have live music and cranberry mimosas, and the exhibits will be open for viewing. 5-10 p.m Free. Details. The 16th Annual Legacy of Black Women Film Showcase at Mcglohon Theater at Spirit Square: See a lineup of films that celebrate the talents of black women. 6-9 p.m. $30. Details. Abacab at Visulite Theatre: Experience a career-spanning Genesis tribute show. 7-11:30 p.m. $15. Details. Scotty McCreery at The Fillmore Charlotte: See the country music star perform on his Seasons Change tour. 8 p.m. $30. Details. The Lightning Thief: The Percy Jackson Musical at Knight Theater at Levine Center for the Arts: See the best-selling series brought to life on stage with an adaptation that was nominated for three Drama Desk Awards including Best Musical. 8 p.m. $25+. Details. Science on the Rocks: Fantastic Bugs and Where to Find Them at Discovery Place Science: Encounter fantastic beats, drink liquid nitrogen butterbeer, design your own wand and concoct your own edible potion. 5-9 p.m. $10 in advance. Details. ’90s Night at Howl at the Moon: Throw on your flannel shirt and get ready to dance the Macarena. Plus, they’ll have drink specials.. 7 p.m. to 2 a.m. Free admission if you wear a ’90s outfit. Details. Pop Culture Trivia at Flight: Test your knowledge of Disney films for your chance to take home $500 in cash and prizes. 7-9 p.m. Free. Details. Mobile Free Pharmacy at Intellicor International Academy: Stock up on free essentials and over-the-counter items such as Tylenol and Band-Aids. 9 a.m. to 2 p.m. Free. Details. 57. 50% chance of scattered showers. Donut and Beer Brunch at Mere’s CLT: Enjoy a brunch of three mini donuts paired with three different beers. Reservations recommended. 10 a.m. to noon $25. Details. Second Birthday at Carolina Beer Temple: They’re celebrating by tapping a new rare beer every single hour. Noon to 11:30 p.m. Free. Details. Vegan Cheese Tasting at Earl’s Grocery: Try different flavors of Sama Spread, a local almond based cheese spread out of Durham, NC. 11:30 to 2:30 p.m. Free. Details. Beer Release at Resident Culture Brewing Company: They’re releasing their first ever imperial stout can and two IPAs, plus they’ll have a DJ and TIN Kitchen on site. Noon to 11 p.m. Free admission. Details. 10 Penny Lane Release at Divine Barrel Brewing: This brew is a braggot, a cross between a beer and a mead that GoodRoad and Divine Barrel made in collaboration. Noon to 11 p.m. Free admission. Details. Beer Release at Thirsty Nomad Brewing: They’re releasing Chocolate Marshmallow Double Black IPA, a beer that’s part of an under-wraps project by the brewery. 1-10 p.m. Free admission. Details. 5 Year Anniversary at The Pizza Peel Plaza Midwood: They’re celebrating with a free cheese and pepperoni pizza buffet, giveaways and live music. 2-5 p.m. Free. Details. Raw Bar “Pop-Up” at Lenny Boy Brewing Co.: Enjoy free oysters on the half shell until they run out, craft beer and kombucha, live music from Ezra Root and tons of giveaways. 3-5 p.m. Free. Details. The Whiskey Club of Ballantyne – Crown Royal at The Ballantyne: Savor tastings of Crown Royal, Crown Reserve, Crown XO and Crown XR paired with light hors-d’oeuvres. Reservations required. 6:30-10 p.m. $65+. Details. The Lightning Thief: The Percy Jackson Musical at Knight Theater at Levine Center for the Arts: See the best-selling series brought to life on stage with an adaptation that was nominated for three Drama Desk Awards including Best Musical. 2 p.m. & 8 p.m. $25+. Details. Larry Keel Experience at The Barrel Room at Triple C: See Larry Keel, who is regarded as one of the best flatpickers on the planet, perform live with openers from Kris Atom and The Hop City Ramblers. 6-11 p.m. $10. Details. Chris Lane at Coyote Joes: See country music star perform live. 7 p.m. $17-$20. Details. Badfish at The Fillmore Charlotte: See the Sublime tribute band with guests Ballyhoo! and Little Stranger. 8 p.m. $15. Details. Carmen at Belk Theater at Blumenthal Performing Arts Center: See Opera Carolina perform this story of a feminist heroine for the ages. 8 p.m. $22+. Details. Atrium Health Martin Luther King Jr. Holiday Parade at Uptown: More than 100 community organizations, marching bands and step and drill teams will participate in the march down Tryon. 10 a.m. Free. Details. West End New Year Home Excursion at West End: Explore 13 beautiful homes ranging from traditional to rustic to ultra modern and enter to win prizes at each. 11 a.m. to 4 p.m. Free. Details. Axe Throwing Pop Up at Divine Barrel Brewing: Southern Axecent is bringing their mobile axe throwing station to the brewery. Noon to 4 p.m. $5-$10. Details. Beer Garden Brew Pup Day at Sycamore Brewing: Shop dog merchandise and treats from local vendors, enjoy live music and grab some grub from Gyro Twins Truck. If you bring your dog, you’ll get $1 off your drink and a free dog toy. Noon to 10 p.m. Free. Details. Welcome to Pawgwarts! at Lucky Dog Bark & Brew Steele Creek: Bring your pup in their best wizard costume for raffles, treats and a photo booth benefitting Carolina Big Hearts Big Barks Rescue. 2-6 p.m. Free/donation. Details. 11-year Anniversary Party at Thirsty Beaver Saloon: Enjoy drink specials and giveaways, plus live music from The Loose Lugnuts. 8 p.m. Free. Details. Wine & Mambo at MoveStudio Charlotte: Dance the night away to Latin Jazz, Salsa and ChaCha music. They’ll have free lessons beforehand, and entry includes three drink tickets. 8:30 p.m. to 1 a.m. $5. Details. 2nd Anniversary Celebration at Lucky’s Bar & Arcade: Celebrate with free game tokens, drink specials and a DJ. 9 p.m. to midnight Free. Details. Mad Hatters Ball 2019 at SERJ: You can expect music and art exhibits featuring more than 10 performing artists. 9 p.m. to 2 a.m. $15. Details. AfroPop! Charlotte, Vol.28 at Crown Station: Celebrate MLK weekend with music curated by The Dynamic DJ Kato (Ifeanyi Ibeto) and DJ Steel Wheel. While you’re there, shop vendors selling crafts and local products. 9:30 p.m. to 2 a.m. $10 before 11 p.m. Details. Botanical Macro Photography with your Smartphone at UNC Charlotte Botanical Gardens: Learn how to use your smartphone (and a lens that’s yours to keep after the class) to take beautiful close-up photographs in the garden. 10 a.m. to 3 p.m. $25. Details. Brewing 101 – Pour Overs at Undercurrent Coffee: Learn the tricks of the home-brew trade in a hands-on class. 10:30 a.m. to 1 p.m. $53. Details. A Brown Girl’s Guide to Financial Literacy and Wealth Development at Hampton Inn and Suites: Little Brown Girl Publishing is hosting an info session where you’ll learn how to become more financially sound. 11 a.m. to 2 p.m. $25-$30. Details. Beautiful Truth: Writing & Sharing Our Stories at Davidson Library: Come together with writers and readers to learn how to write and share your stories. 2 p.m. Free. Details. 2019 Allstate Hot Chocolate 15k/5k at First Ward Park: Entry includes a jacket, commemorative medal and treats during and after the race. 7:45 a.m. $49-$69. Details. The Best Saturday Workout Ever at Gold’s Gym – Epicentre: Come for 30 minutes or stay for the full three hours to try out their group fitness classes. 9 a.m. to noon. Free. Details. Charlotte Running Company Trail Race at USNWC: Run along the pristine trails and choose your distance — 13 miles, 9 miles, 4 miles or the Fun Run. 9 a.m. $15-$50. Details. Trailblazers Hiking Club at USNWC: Join Blue Blaze Brewing for an all-levels 2- to 4-mile hike on the trails followed by your favorite brew. 10 a.m. Free, $6 to park. Details. Mindful Sweat for CF at Catawba Brewing Company: Work out and then have drinks to raise funds for the Cystic Fibrosis Foundation. 11:30 a.m. to 1 p.m. $10. Details. College Basketball at Dale F. Halton Arena: Cheer on the 49ers as they take on Louisiana Tech. 4-6 p.m. $10+. Details. Charlotte Hornets v. Phoenix Suns at Spectrum Center: Cheer on the Hornets as they take on the Phoenix Suns. 5 p.m. $18+. Details. Charlotte Checkers v. Toronto Marlies at Bojangles’ Coliseum: Cheer on the Checkers as they take on the Toronto Marlies. It’s also NASCAR night, so they’ll have autograph session and appearances by Ryan Newman, Regan Smith, Corey LaJoie and more. 1 p.m. $18.50-$88. Details. 58. 40% chance of scattered showers. Queen’s Feast at Throughout Charlotte/surrounding areas: Enjoy three-course dinners at the area’s best restaurants throughout the week. Reservations recommended. $30-$35. Details. Bubbly Benefit Brunch at GoodRoad CiderWorks: Admission includes brunch, two drinks, a swag bag and more. Proceeds will benefit the American Cancer Society. 11 a.m. to 4 p.m. $35. Details. Jazz Brunch at Tailored Smoke Cigar Lounge: Join Fleming’s Steakhouse for a brunch featuring prime rib and bottomless mimosas with live jazz music. 11 a.m. to 2 p.m. $53. Details. Jerk Chicken N’ Waffles Brunch at Mango’s Caribbean Restaurant: Take advantage of the long weekend with a party brunch complete with Reggae, R&B, Soul and Afrobeat music and plenty of Jerk Chicken N’ Waffles. 11 a.m. to 5 p.m. Free admission. Details. Beans N’ Bots Chili Cook-Off at Wooden Robot Brewery: Sample various chili recipes and cast your vote for the best or come and cook for the judges. All medium brews will be $1 off and a beer purchase includes your ticket to vote. 1-3 p.m. Free admission. Details. 5th Annual Martin Luther King Jr. Fish Fry Day Party at TCB 54 Hundred Bar & Grill: Celebrate the long weekend with free fish, Spade and Pool Tournaments, the NFC/AFC championship games on the TV and more. 3-9 p.m. $5-$8. Details. Raw Bar “Pop-Up” at Sugar Creek Brewing: Join the Waterman for free oysters on the half shell until they run out, plus brews, games and giveaways. 4-6 p.m. Free. Details. The Lightning Thief: The Percy Jackson Musical at Knight Theater at Levine Center for the Arts: See the best-selling series brought to life on stage with an adaptation that was nominated for three Drama Desk Awards including Best Musical. 1:30 p.m. & 7 p.m. $25+. Details. Carmen at Belk Theater at Blumenthal Performing Arts Center: See Opera Carolina perform this story of a feminist heroine for the ages. 2 p.m. $22+. Details. Scavenger Hunt for Charity at Plaza Midwood: Assemble your team of four and get ready to race around the neighborhood to find clues (and drink specials) hidden throughout. Costumes are encouraged and they’ll have Lime scooters for transportation. 1 p.m. $60. Details. Winter Jam 2019 at Spectrum Center: They’ve got 10-plus Christian performers lined up to perform on the 360 degrees stage. 6 p.m. $15. Details. Beautiful Truth: Writing & Sharing Our Stories at Independence Library: Come together with writers and readers to learn how to write and share your stories. 2 p.m. Free. Details. Backpacking 101 – A Wilderness Workshop at Blue Blaze Brewing: Learn how to safely enjoy spending more time outdoors with Appalachian Trail thru-hiker, Heidi Nisbett. Wild Dog Hot Dogs will be on site in case you get hungry. 4-5 p.m. Free. Details. Essential Yoga Class at NoDa Yoga: Drop in for an all-levels class that will use essential oils to enhance your practice. 2 p.m. Pay what you can. Details. Spirit of Hope National Championship at Charlotte Convention Center: Experience the national cheerleading competition that draws top teams from all over the country. 8 a.m. $40 for both days. Details. Charlotte Checkers v. Toronto Marlies at Bojangles’ Coliseum: Cheer on the Checkers as they take on the Toronto Marlies. After the game, they’ll have a Postgame Skate (without players). 6 p.m. $18.50-$88. Details. Sunday Funday at Mint Museum Uptown: Families can enjoy family-friendly art projects, gallery visits, artist demos, and Let’s Move! yoga sessions. This month, activities will focus on the medium of collage. 1-4 p.m. $6, free for children. Details. 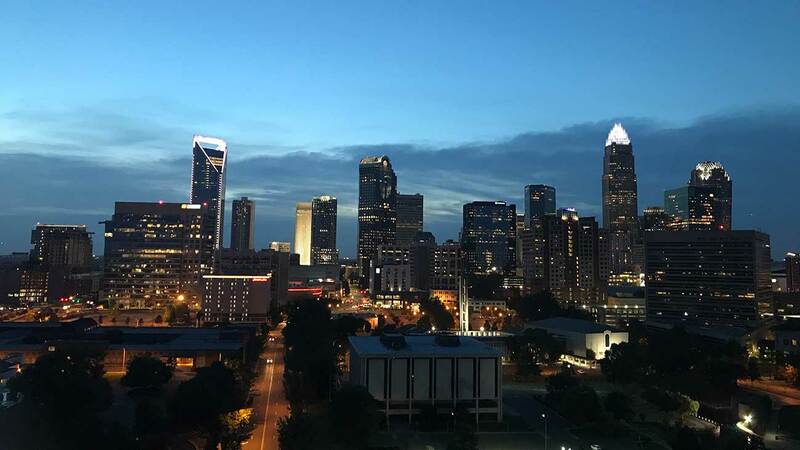 Connect With Culture Days: Enjoy free access to arts, science, history experiences across Charlotte-Mecklenburg with tons of opportunities to engage with the cultural community in fun and creative ways. January 25-26. So You Think You Can Bark: Don’t miss this one-of-a-kind fundraising event showcasing dogs performing tricks taught by Force Free animal trainers and judged by a celebrity panel to support Stand For Animals Medical Relief Fund. Stand For Animals is a local nonprofit veterinary office serving Charlotte and the surrounding area. February 1. 8th Annual Queen City Brewers Festival: This annual event showcases locally produced beer and cider with invites exclusive to Charlotte-area breweries, brewpubs, cideries along with hand-picked restaurants, snack exhibitors and sponsors. Savor beer samplings from 40 Charlotte breweries and cideries, plus complementary foods with festival proceeds benefitting ACEing Autism Charlotte. See who gets crowned “Best of Show” at this tasty annual event proudly sponsored by Wyndham Capital Mortgage. February 2. See all the upcoming events here. 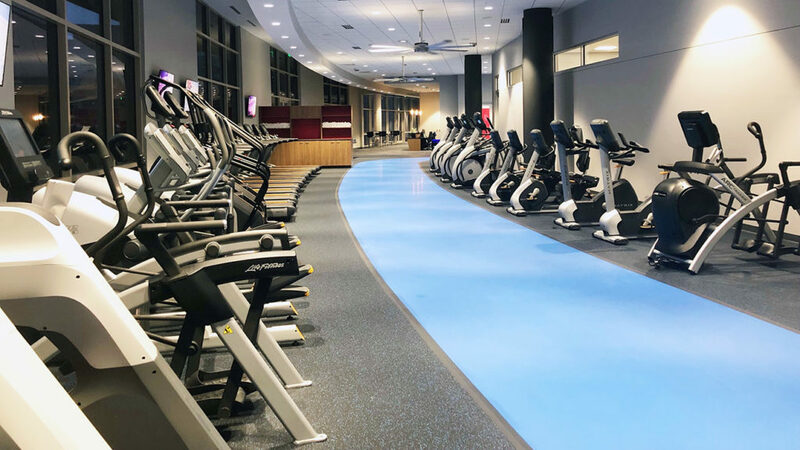 Lowe’s HQ just opened their state-of-the-art fitness center on campus. 17 photos inside.